Service is the heart and soul of all the work we do. SVdP of Alameda County volunteers donate over one hundred thousand hours every year to lend a hand to our neighbors in need. 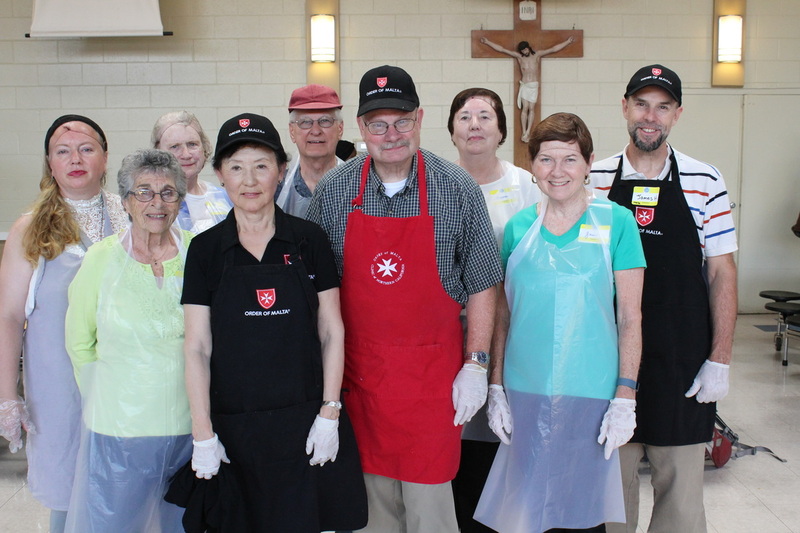 ​Over 2,400 people came to SVdP in the past year to serve their neighbors. We invite you to join them! We look forward to having you volunteer with us to serve our neighbors in need. We have many volunteer opportunities – join us in the Dining Room, at our Help Desk, or in our Drop-In Centers. You could also help with facilities maintenance or merchandising at our stores. We value the skills and enthusiasm of our volunteers and can't wait to learn about yours! ﻿﻿​We have a rich history of partnering with Vincentian Conferences, community groups, and corporate organizations. We welcome your group to the Downtown Oakland direct service campus. Please contact our Volunteer Team at least one month in advance of your visit and we will be happy to get you on our calendar! ﻿SVdP welcomes students, ages 14 and older, to complete service hours in Downtown Oakland. Students do not need a parent or guardian to accompany them, although we love to have families volunteer together! We also accommodate small groups of students for high school service days.